Yosemite Falls. They're made up of three falls but you can only see Upper and Lower Yosemite Falls in this photo. The Middle Falls is probably just a trickle right now. On the left is El Capitan. 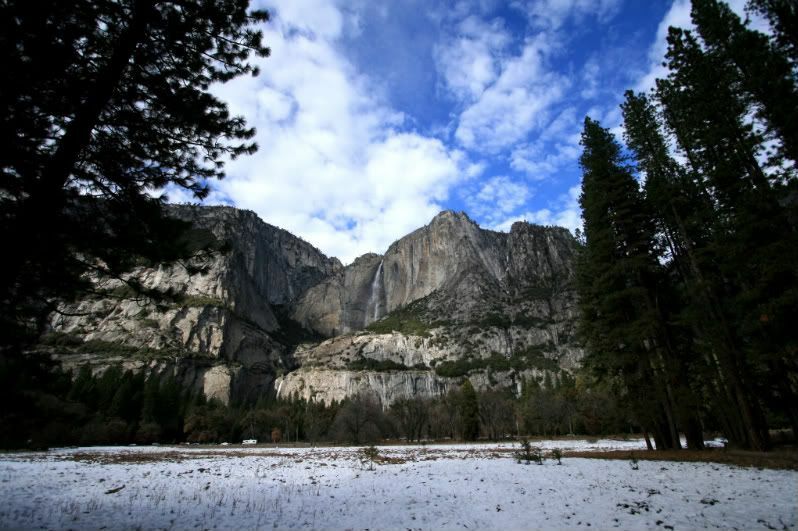 The waterfall is Bridalveil Fall and the three peaks right above it are The Three Brothers. 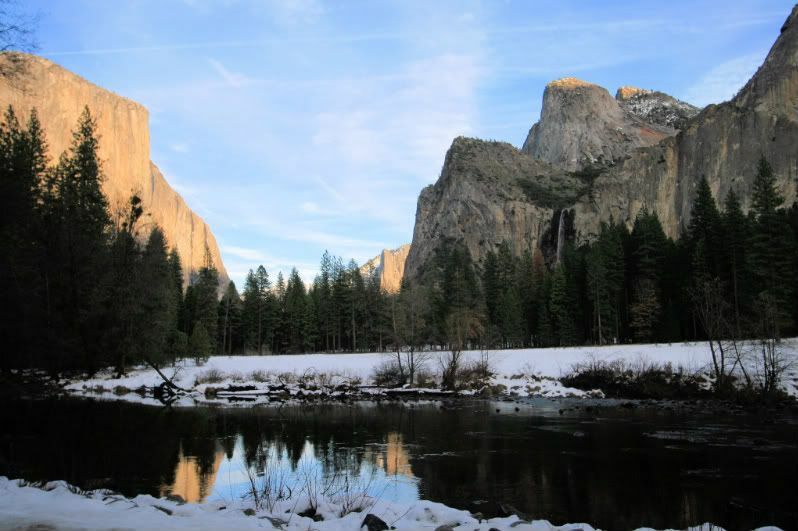 The body of water is the Merced River, which runs through Yosemite Valley. Figures, it's supposed to snow there next week. Wow! Those two photos are purty! That first one looks like it was painted. I'll be waiting. . . bwahahahaha! why thank you. I love those two! I have way too many Hugh Laurie icons...House and non-House! Hehehe. I have Hugh icons and I'm not afraid to use them!